Mets fire hitting coach Pat Roessler, more moves to come. With a new sheriff in town, the Mets newest General Manager has decided to part ways with hitting coach Pat Roessler. Joel Sherman of “The New York Post” is also reporting that there will be more moves on the way regarding the Mets coaches and staff. Roessler aided the Mets 676 runs scored, which ranked them MLB’s 23rd worst team in that category. Roessler very well may be the “Patsy” here, however, someone needs to be responsible for the team’s offensive woes. Let’s face it, Van Wagenen isn’t going to fire everyone on the 40-man roster. The news doesn’t come as a total shock despite the Mets anemic offense, at the end of the day, Van Wagenen didn’t bring in nor did he hire Roessler, so it only makes sense for the new GM to assemble his own staff going into the 2019 season. Mike Puma of “The New York Post” tweeted yesterday morning that the Van Wagenen and Mets to plan also reassign Ricky Bones within the organization. Bones has been tremendously respected within the clubhouse and even more so in the bullpen, preparing relievers for there upcoming task and keeping his pitchers mentally sharp. It would be great if GM Brodie Van Wagenen reassigned Bones to a position with a promotion, however yet again, Bones is not a Brodie guy so Van Wagenen very well may make him a special assistant or advisor to the front office, or possibly even a roving pitching coach that’ll have him instruct the younger kids in spring training & across the minors during the season. 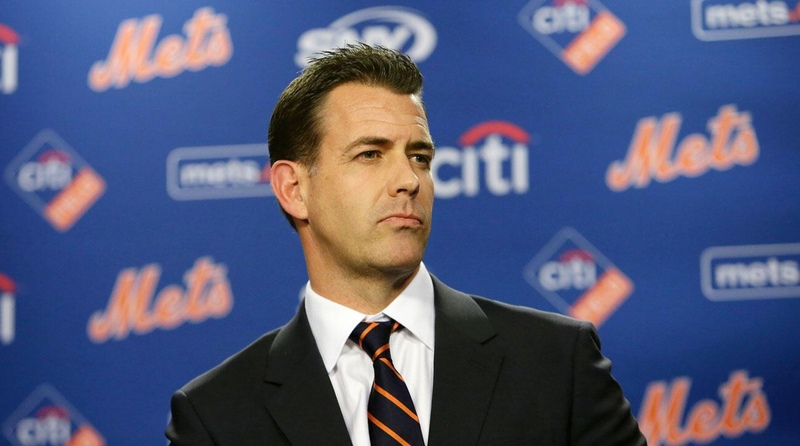 With Roessler gone and Bones scheduled to be reassigned, I expected the Mets and Brodie Van Wagenen to make a handful of parallel moves in regards to some of the staff and coaches. This may be a bias opinion but please, Ruben Amaro jr absolutely needs to be on this list of “Don’t let the door hit you on the way out”, I never warmed up to the idea of the former Phillies GM standing on the diamond of Citi Field while donning the Orange & Blue. Shame!!! However, Amaro jr will serve as an assistant to Van Wagenen. Glenn Sherlock will now assume the duties as the first base coach, moving over from third base coach. Gary DiSarcina will take over the third base coach duties, making the move from bench coach.